Daddy, my father-in-law, needs his daal ("lentil" in Urdu) fix daily. We usually make the wet, soupy version, which he considers tastier because of baghar (common red chili oil layer). But every now and then, Daddy asks for sukhi mash ki daal. "Sukhi" is in reference to a dry lentil preparation. I used urad dal and cooked the lentils with caramelized onions, fresh chiles, garlic, ginger and cumin seeds. Urad dal is a great source of protein and iron and it's pretty low in calories. The caramelized onions provide the extra oomph of natural sweetness and are balanced with a little kick from the freshly grated ginger. 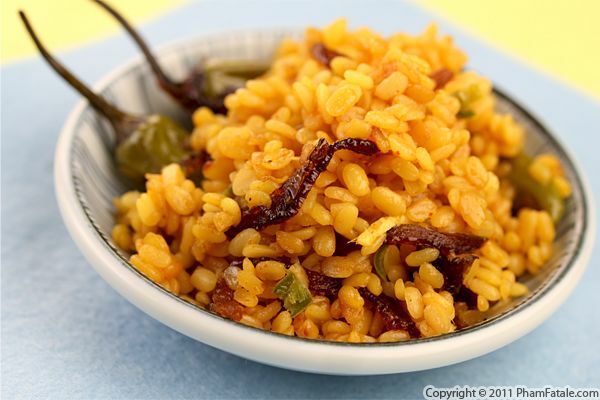 The result is as tasty, healthier version of an Indian staple. We usually make mash ki daal with freshly homemade roti (Indian flat bread). Daddy often likes to spread a little bit ghee (clarified butter) when my mother-in-law's not watching! If you have leftover lentils, you can add grilled vegetables the following day. It makes a great salad for a light lunch. 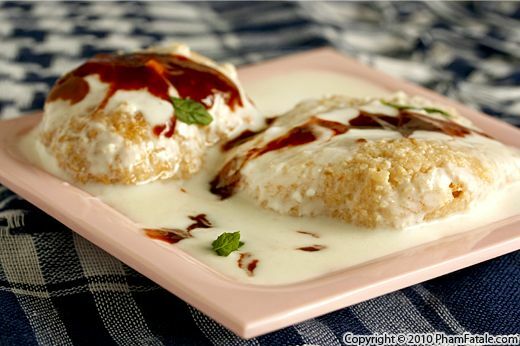 Dahi bhalla is a very common dish in Indian cuisine. Hot fried lentil fritters are soaked in cold water, gently pressed then smothered in a thick yogurt sauce. What makes the dish so special is the combination of sweet tamarind chutney that marries very well with the tanginess of the yogurt. It can be eaten as a snack or appetizer. The dish may be fried, but it’s packed with nutrition so you can enjoy it without feeling that guilty. For added flavor, I added both chopped dates and date syrup to the tamarind chutney. This dish can be prepared in advance and assembled at the last minute, which is very convenient. 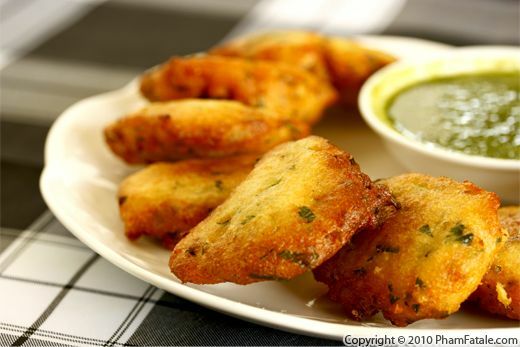 Serve with cilantro and mint chutney on the side and you'll have yourself a very flavorful appetizer.